For some of you, this is energizing. For others—perhaps those who do not like public speaking—this can sound intimidating. But whether we like it or not, effective communication is vital for effective leadership. It is important to remember, however, that communication takes many forms, uses many mediums, and happens at many levels. While some leaders excel at public forms of communication such as plenary speaking or communication through mass media, others excel at interpersonal forms of dyadic and small group communication. As leaders, the key is to know our strengths and growth edges as leadership communicators. Intrapersonal Communication — The level of Intrapersonal Communication easy to miss in communication discussions. Intra-personal communication focuses on what is happening at the level of self-leadership. Before you are able to effective communicate with others, the leadership message must be clear to you. The level of intrapersonal reflection and dialogue is focused engaging clarity of thought before engaging clarity of communication. A strong intrapersonal communication supports strong interpersonal communication. Interpersonal Communication — Moving from intrapersonal communication to interpersonal communication highlights the importance of others in the communication process. Communication is not just about the message sent. It is about the message received. This necessitates understanding the other in the communication process. The following levels help think about the other on multiple levels. Dyadic Communication — Dyadic Communication focus on the dyad of two people. How are you doing at this level of communication? As a leader, are you able to sit down with another individual and effective communicate your leadership message? Are you able to effective listen to the needs of others? Are you able to effectively connect these felt needs with the visionary direction of the organization? Small Group or Team Communication — Small Group/Team Communication takes communication to the next level beyond just two individuals. Are you able to effectively work with small groups of individuals in your organization? Are you able to communicate in such a way that helps the team coalesce around a common vision? Effective leadership communication at the team level also must pay attention to working through and weathering potential storms of conflict. Divisional or Organizational Communication — Moving beyond the team level, organizational leaders also need to think about communication internally within the organization at the divisional and macro organizational level. Are you able to cast a compelling vision through Organizational Communication? Are you able to use multiple pathways of formal and informal communication to reinforce the central organizational values and goals? 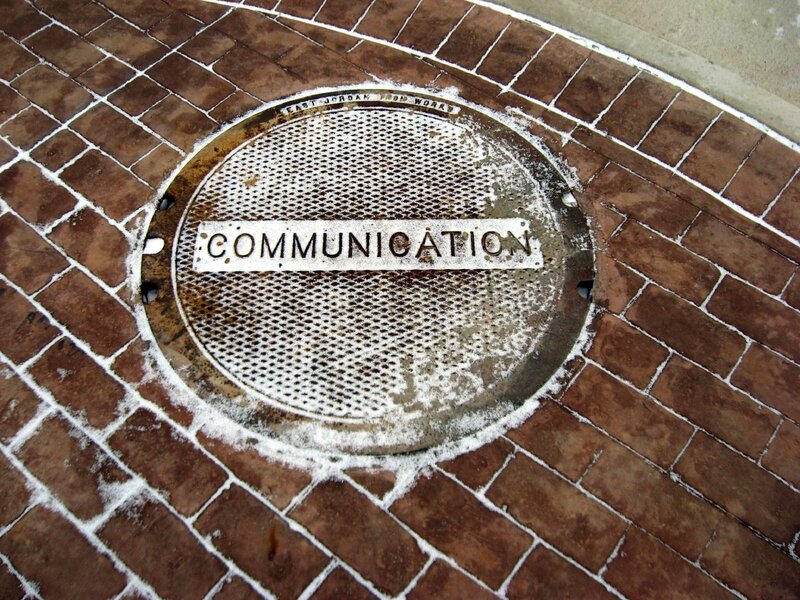 Public or External Communication — Organizational leaders not only need to think about communication within their organizations, but also Public/External Communication beyond the metaphorical walls of the organization. How are you as an external leadership communicator? Are you mindful of the various constituencies that have a vested interest in your organization? Are you finding communication channels that not only work for you, but also work for your target audience? Effective public or external communication helps to expand your organization’s influence in new arenas. Mass Communication — Finally, Mass Communication is an extension of public/external communication using methods from disciplines such as advertising, journalism, broadcasting, and public relations. Organizational leaders often are not experts in these areas. Because of this, effective leadership communicators at this level often partner with internal or external coaches to help guide effective mass communication for advancing the organization’s message. Although few leaders excel at all of these levels of leadership communication, this list provides a helpful checklist for thinking through strengths and growth edges in your own leadership communication journey. Interesting connection in #1… we have to clearly know what the goal is before we can communicate it with others. Good reminder!